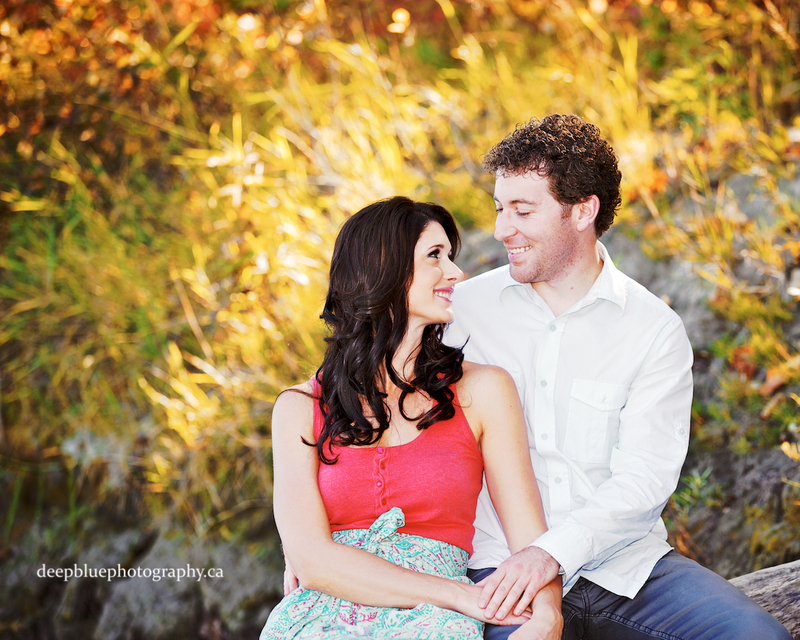 Wendy and Gareth totally rocked their Edmonton river valley engagement pictures. They have such an amazing connection between them which was an absolutely pleasure to capture. 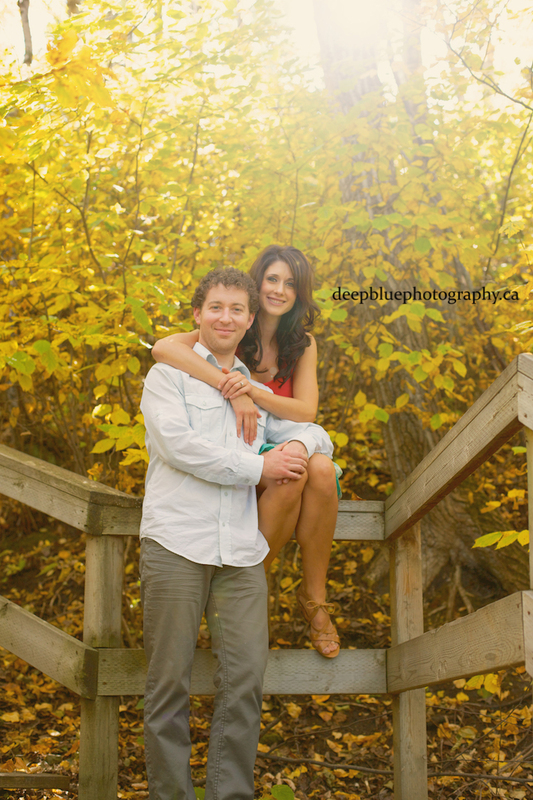 Gareth and Wendy picked a beautiful day in September for their engagement photos in Edmonton’s river valley! 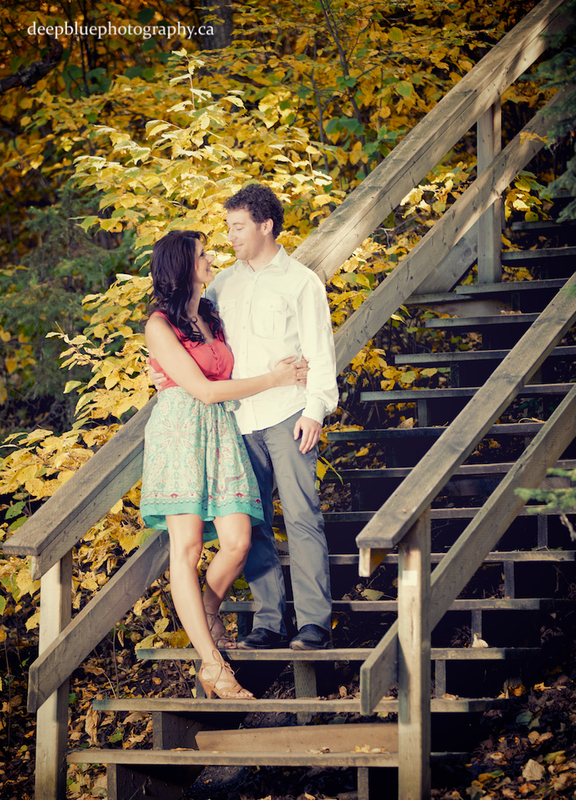 We met at Emily Murphy Park in the early afternoon for some very sweet and very romantic photos. 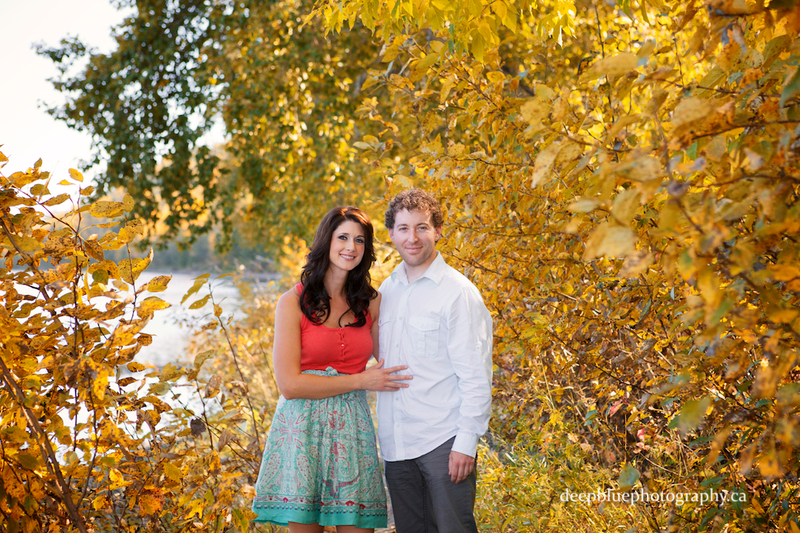 Gareth and Wendy found us online, and made a special trip into Edmonton from Grande Prairie to meet and book us. 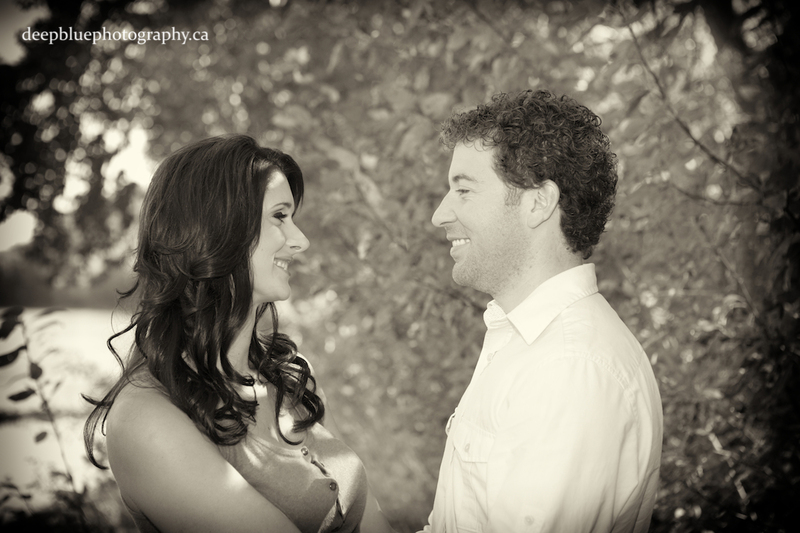 We are very excited to be traveling to Grande Prairie in June for their wedding! 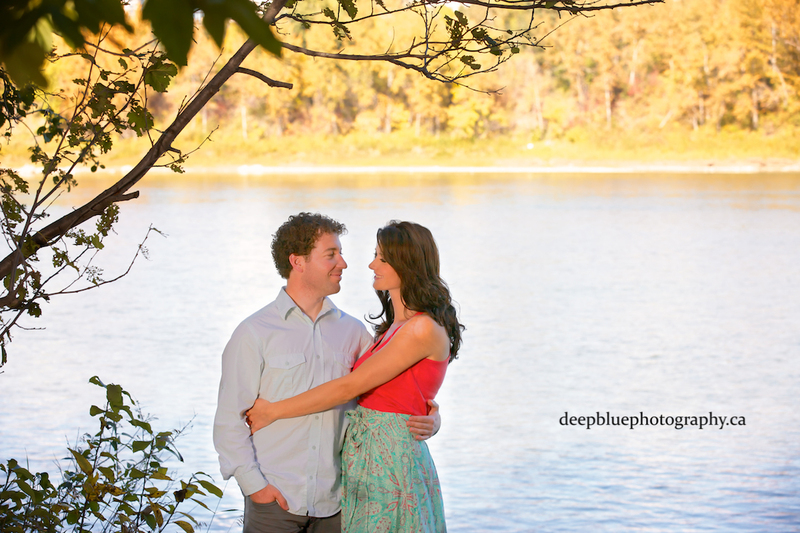 Thank you for inviting Deep Blue Photography to capture your Edmonton river valley engagement pictures! They walked by the water and found a nice spot to sit and cuddle! This couple is so sweet! 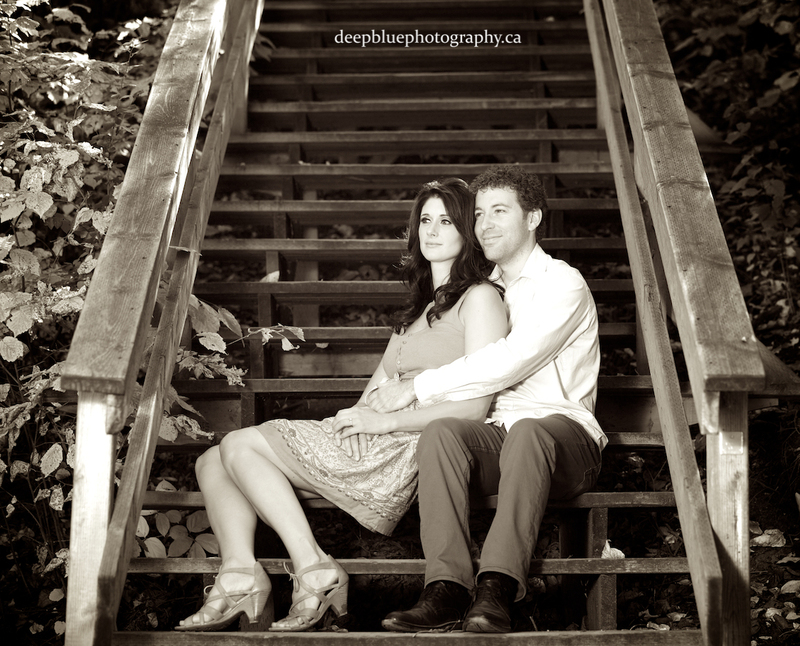 Edmonton’s stunning river valley is a great spot for engagement photos! Our couple pauses to take a break! Gareth and Wendy Practice their dancing skills! This was the PERFECT day to capture autumn in Edmonton! 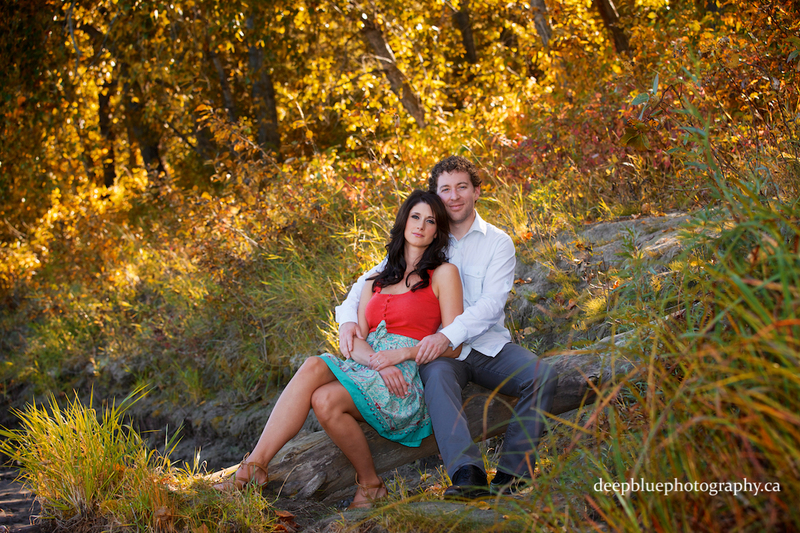 We took our couple off the well groomed trails for some fun nature-shots! Now look lovingly into each others eyes…. Thank you for a beautiful afternoon!